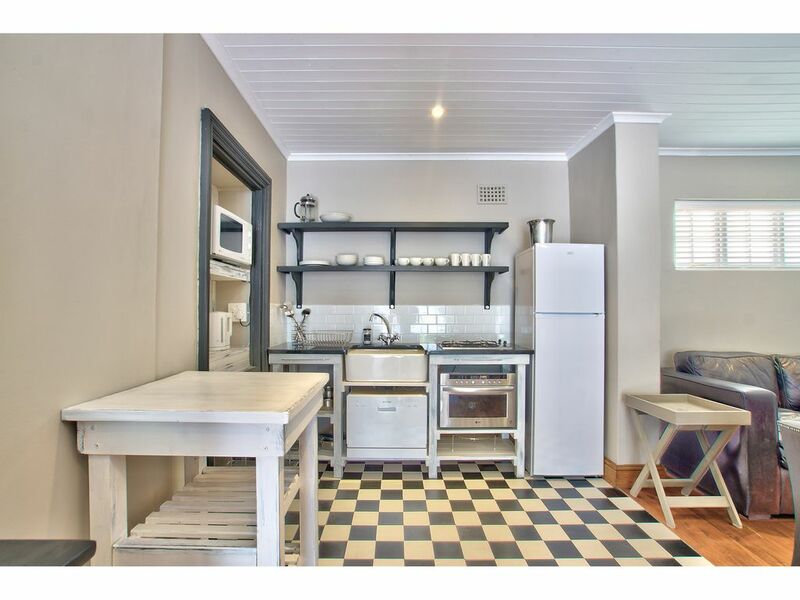 Clarkia Cottage is a self-catering, free standing cottage with 2 bedrooms and 2 bathrooms. Both bedrooms can have a king size bed or 2 single beds. The open plan living/tv/kitchen area opens up on a private patio with barbeque facilities. The kitchen is equipped with fridge/freezer, microwave, convection oven, 2 plate gas hob, dishwasher and many more. The cottage has access to the courtyard pool and a laundry area. These areas are shared between the cottages. Can sleep 4 guests. The cottage has a parking space for 1 sedan car with direct access. It has its own alarm and private, separate remote control entrance. The property manager (Godfrey) is at hand every day and service the cottages every Monday - Friday. Laundry in garage with iron and iron board. We provide a rack for drying. Parking next to the cottage behind remote control security gate with direct access to the front porch and door. Newlands Cottages are very close to the Kitstenbosch Botanical garden and active guests can walk/run to the main entrance. Godfrey is on hand Monday to Friday and services the cottage every weekday. We do not charge a breakage deposit, but we take an imprint of a credit card (Master/Visa) for security against any breakages.